Bundaberg, Queensland is well known for its iconic beverages, with Bundaberg Rum and Bundaberg Brewed Drinks internationally-recgonised brands. In the past few years, Bargara Brewing Company has established itself as another iconic brand from the region with the exponential rise in popularity of its fresh, local, independent craft beers such as Thirsty Turtle and Drunk Fish being exported to China and South Korea, as well as distributed throughout Queensland. Bargara Brewing Company has also gained a reputation for innovative conservation and tourism initiatives, such as brewing the Great Barrier Beer for the Good Beer Co and the Australian Marine Conservation Society, initiating the #tastebundaberg culinary mural on the brewhouse walls and hosting the ‘Backstage Pass' long lunch each July as part of the Winterfeast festival. “By getting an amazing beer into the hands of thousands of local and international consumers that raises awareness of our pristine yet delicate reef and the sealife that depend on and call it home, is very powerful” – Jack Milbank, CEO of Bargara Brewing Company. “Every beer label encourages consumers to get behind #projectmanta and will educate people about the importance that the Great Barrier Reef and its inhabitants play for the future of the planet. It is important that we support local businesses in our region, so we are pleased to be on board with the Bargara Brewing Company with Ray XPA. We have had incredible positive response to their Thirsty Turtle and Drunk Fish out here on Lady Elliot Island, so it is only fitting to support Ray XPA especially as Lady Elliot Island is known as ‘Home of the Manta Ray’ so, cheers to that!” – Peter Gash, Managing Director/Custodian of Lady Elliot Island Eco Resort. 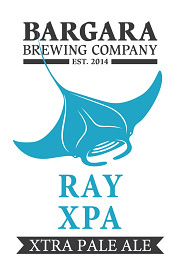 Ray XPA will initially be available from most Queensland Dan Murphy’s, Cellarbrations Hervey Bay, Liquor Marketing Maroochydore and Southport, Bargara Brewing Company’s Brewhouse in Bundaberg and on Lady Elliot Island. Bargara Brewing Company is committed to local farmers, sourcing regional produce, such as Mandarin Juice from the North Burnett for its recently released Escorro Honey Murcott Vermouth and local talent to keep the economic growth in our region to benefit the community. You too can help by supporting local businesses and tourism operators by drinking local beer, Cider or Vermouth and visiting the beautiful Lady Elliot Island Eco Resort and becoming a citizen of the Reef, how hard could it be? 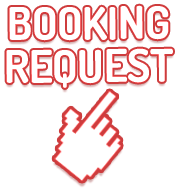 Media are invited to book with Lady Elliot Island for the launch from the Island on the 2nd February. Lady Elliot Island is a pristine coral cay situated at the Southern end of Australia’s Iconic Great Barrier Reef, approximately 80kms North East of Bundaberg. The Island is known as the ‘Home of the Manta Ray’ and has been recgonised by PADI as one of the ‘Top 5’ place sin the world to scuba dive with manta rays. Lady Elliot Island Eco Resort works closely with research group Project Manta who have identified over 1,000 individual manta rays off the East Coast of Australia. Approximately 90% of those have been spotted in the waters surrounding Lady Elliot Island. The identification comes from photo-identification and citizen scientists who #projectmanta or send images with sighting information to assist in investigating population biology and ecology. In 2017, Lady Elliot Island was voted No. 1 Island Destination to Experience in Australia by Experience OZ + NZ and won Gold in the ‘Steve Irwin Award for Ecotourism’ at the annual Queensland Tourism Awards. Lady Elliot Island is committed to the preservation of the Southern Great Barrier Reef and educating tourists on the importance of sustainable management of our natural assets.